With anything in life, as you spend more time on something, over time you develop tips and tricks to accomplish it more effectively. For instance, on your drive to work in the morning, you eventually learn that there are certain times of the day where you can take a quicker route. This shortcut allows you to save time and be more efficient. This concept can also be applied to repetitive tasks you encounter in association management. Whether you work with a Board of Directors or with the association’s financial accounting activities, recognizing and incorporating shortcuts into your routine can help you to be more productive. This not only enables you to be better at your job, but also provides a quicker turn-around, which leads to more satisfied members. One of the formalities of a board meeting is taking down structured notes from the key discussions that occur throughout the meeting. These notes are known as the meeting minutes and can be short or long in nature, though length is largely determined by the meeting agenda. Preparing the finalized meeting minutes following the meeting can be a daunting task, but it doesn’t have to be. Creating a skeleton of the minutes prior to the meeting can save you a lot of time. Start by adding the agenda items in order with enough space to include the main points of discussion and key information, such as action items or motions. Now that there is an outline in place, you can also insert the names of those who have sent their regrets, the date and time, and set the fonts. You’ll notice that by doing this, you will be more present during the meeting and formalizing the meeting notes will be much easier. For more on meeting minutes, you can visit one of my previous blog articles, or my colleague’s. 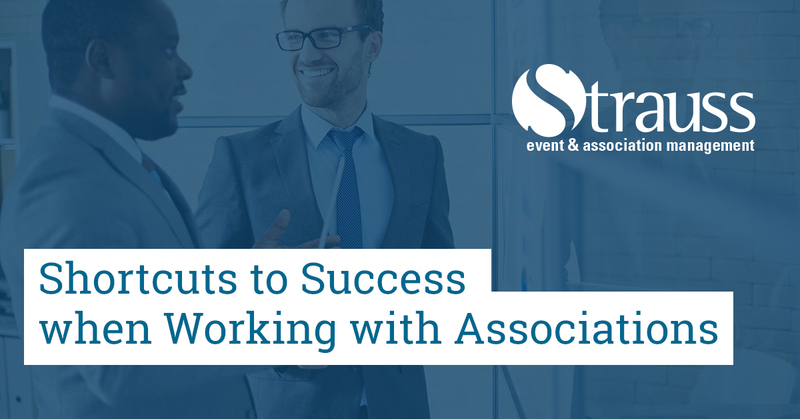 Associations can accumulate a lot of expenses, whether it is for an event or a service. It can be difficult to keep track of the myriad of invoices end up on your desk. A great way to stay on top of these expenses is with the help of post-it notes. As soon as invoices are received, rather than allowing them to pile up, attach a note on the front of the invoice with the date of when payment is required. Arrange the invoices in order of their due dates in a designated basket or folder. Each day you will pull out all the invoices that require payment on that day. Some days you may have none, whereas others you may have five or more. By marking each bill with a post-it note as soon as it arrives, you will be more organized and less overwhelmed by financial deadlines. You can read more about tips on association accounting here. Do you ever find yourself scrambling for a member’s email address or phone number? If you do, you can try keeping a list of key contacts at your desk to minimize the time it takes searching for their contact information. For instance, if you are an event manger, having a list nearby of the planning committee would be extremely helpful. This list could include each committee member’s name, email address, phone number and mailing address. Conversely, if you would rather not have extra paper around your desk, this list can also be kept online by creating custom email groups within your email settings. By grouping allied members together online, members’ contact information will be neatly stored for your convenience. So, whether you choose to have a physical or virtual list, simply having one somewhere at your workstation will help you get your message out to your key contacts with less effort and in a timelier manner. By adapting shortcuts into your routine, you will notice that you will spend less time on the small details and will get to the finish line a lot faster. Be careful not to adapt shortcuts to new projects that you are still not completely familiar with. Shortcuts do take time to implement and should come naturally to you. Not only should you not rush it, but also take the time to revise any shortcuts if you realize they are not working as expected. If they are not saving you time and not assisting you in your role, they are not shortcuts.